Shotokan Karate-DO is a great way to discipline your mind, body, and spirit. That is why Harambee Karate Club is proud to provide you with engaging Japanese karate classes in Superior, CO. Since 1992, our dojo has been building a strong membership base and practicing our craft. These years of experience have not only helped us to become more proficient in the martial arts that we love, but also in our ability to train others. “Harambee” is a Bantu word adopted into Kiswahili that means “to pull together.” Our choice to use this word to name our dojo was an easy one. It represents the melding of body, mind, and spirit to affect a unity of development in the practicing karateka. When you learn with us, you are going to be able to train every part of yourself to work in harmony so that you can achieve the goals you set out for yourself. Are you looking to learn Shotokan karate? Maybe you are interested in further your existing education in this discipline? No matter the reason, our dojo is here to guide you. The emphasis in our classes is always placed on character development, self-discipline, health, flexibility training, and self-defense. By building these five cores, you are going to notice a general improvement in every aspect of your life. Skill levels for our classes range from beginner up to advanced level. Most of our classes are small, and individualized instruction is available when needed. When you want to find out how our Shotokan karate classes help you improve yourself, give us a call. New students to our Japanese karate classes are accepted during the first three sessions of each month. We encourage boys, girls, women, and men to try a class to experience the benefits of this tradition. We believe that as you come to class regularly, you are going to begin to notice the good it will do for your overall well-being. 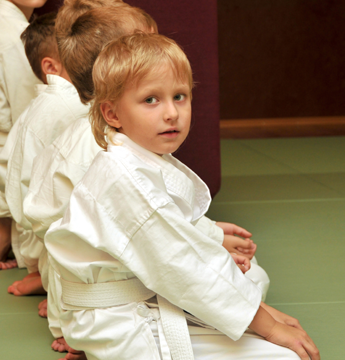 Students between the ages of six to eight are welcome to come to our karate classes when they are accompanied by a parent and/or an older sibling. Visitors are welcome at our dojo. We just request that you please phone or email us before your visit. As a member of the International Shotokan Karate Federation, you may train in any member dojo with your ISKF card. Check their Website for locations and costs when you travel. Our dojo is proud to be a part of this broad network, and we are excited to help you with your personal exploration of this great martial art. Contact us for more information about scheduling your first visit. Our Japanese karate classes are perfect for men and women located throughout the Superior, Colorado, area.